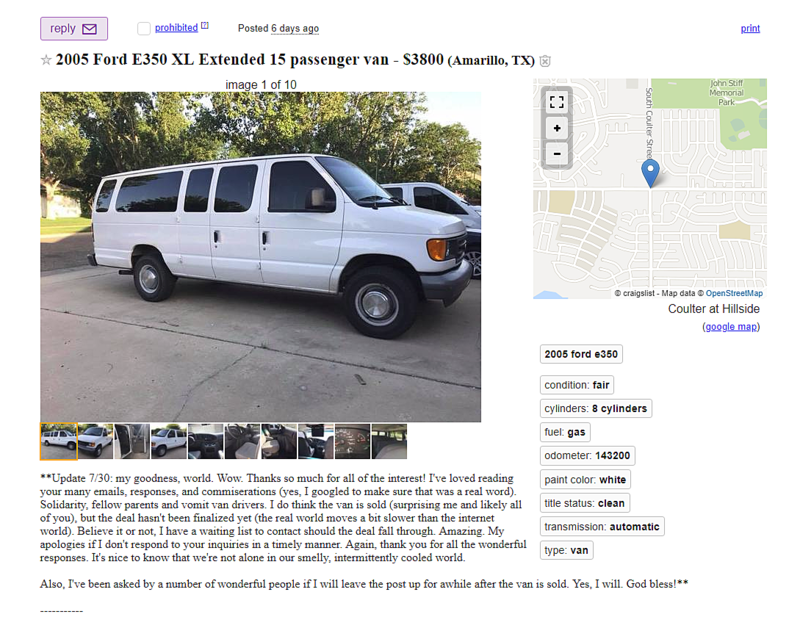 Honesty is the best policy, and this Texas dad's now-viral Craigslist ad selling his family van proves that. "We're a family of 11. Every one of our children has thrown up in this van at some point in the past decade...The van is clean now; but, it will probably always be inhabited by the ghost of vomit past." If knowing that the van has been filled with the puke of almost a dozen children isn't enticing enough for you, the Wood family van also comes complete with the "smell of decaying chicken nuggets" that were stuffed inside the hole in the door where a speaker used to be. Josh goes on to explain the great news that the automatic windows do, in fact, work! "This is good because the air conditioner does not," he wrote. Despite the candidly explained duct tape repairs, sketchy smells, and faulty features, the truthfulness of Josh's post has been appreciated by many, and after receiving a plethora of responses, he says the 'Vomit Van' with an asking price of $3,800 has sold! He even has a waiting list of interested individuals should the deal fall through. 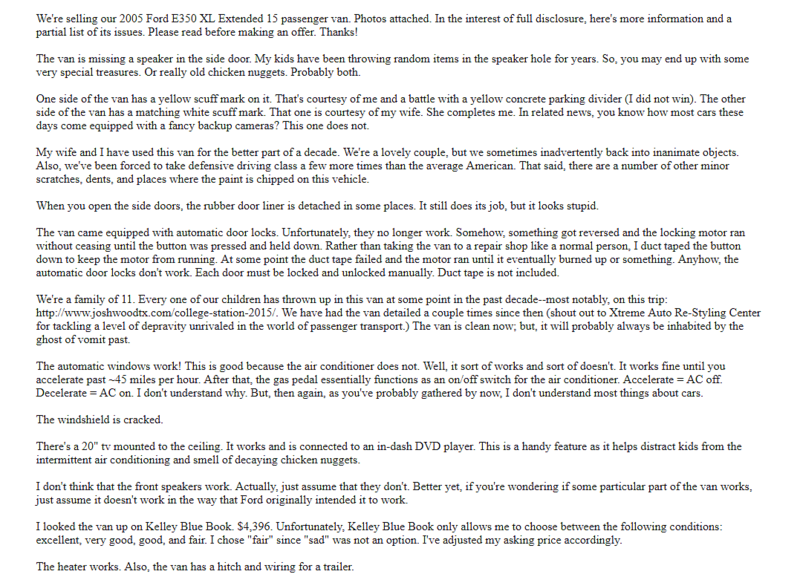 You can read the full and brutally honest craigslist ad here while it's still up. Screenshots are posted below.